What Facts Should I Know about Sleep Disorders in Children? What Are Normal Sleep Requirements for Children by Age? What Are the Symptomsn of Sleep Problems and Sleep Disorders? It is very common for children to have problems sleeping. In fact, researchers estimate that between one-quarter and one-half of all 1-5 year olds develop some form of sleep problem. What are three common sleep problems in early childhood? These problems are most commonly described as dyssomnias, related to "bedtime resistance," "delayed sleep onset," or "night walking." These are basically disorders that can be characterized by a disturbance in the amount, quality, or timing of sleep. These problems are usually transient and resolve; however, it is well established that if symptoms persist, they can develop into a problem which may require an intervention to reverse the trends. What causes insomnia in a child? It is best to divide sleep disorders into those that are physiologically based, such as obstructive sleep apnea (OSA), narcolepsy, and restless legs syndrome (RLS), and those that are behaviorally based. Although there is significant individual variation, there are well established recommendations addressing the total needed hours of sleep for children of different ages. These totals include both contiguous sleep and naps. Newborns (<1 month) typically sleep 15-18 hours, though as most parents realize never contiguously. Some infants will manage to sleep 5 hours without interruption during the evening, but most only sleep a couple of hours before waking and feeding. Infants (1 month-12 months) sleep 14-15 hours and most develop an appropriate "day-night" cycle by 2 months. And they begin to sleep for longer periods as they develop further. Toddlers (1–3 years) require 12–14 hours, and although they continue to benefit from daytime naps as they age, they require fewer and shorter sleeping periods during the day. Preschoolers (3–5 years) sleep 11–12 hours, and the younger in the age range still benefit from a daytime nap. School-aged children (6–12 years) require 10–11 hours of sleep, though often preteens will sleep fewer hours. Adolescents (12-18 years) require 8-9 hours of sleep, though given their school and extracurricular demands, in addition to social demands, they often get only 6-8 hours. Sleep hygiene is considered the foundation of "good sleep"" across all ages. Poor sleep hygiene is also the major contributor to most behaviorally based sleep disorders, and symptoms such as daytime sleepiness and trouble sleeping may be a reflection of poor sleep hygiene. There are two major factors which contribute to poor sleep hygiene. The first involves lack of an adequate sleep routine and a poorly organized sleep environment. The second includes poor habits which lead to increased arousal around bedtime. Establishing practices which encourage good sleep hygiene include the following measures. Develop consistent and age appropriate sleep and wake schedules including limiting naps for older children. Establish consistent routines around bedtime such as reading a book or telling a story. It is important to limit these activities to less than 30 minutes nightly and maintain consistent patterns. Maintain a comfortable and calming sleep environment. Keep the bedroom temperature slightly cool and eliminate any distracting noises, such as computers, televisions, and cell phones. Eliminate caffeinated products, especially during the late afternoon. There is no absolute definition of a sleep problem in children, but it is possible to categorize the problems as behavioral or physiological. In addition, it is important to remember that most parental complaints regarding their child's sleeping habits focus on how hard it is to convince their child to either go to sleep or stay asleep. Transient episodes of sleep problems are very common, but usually not serious. Often simple behavioral changes can lead to improvement, and thus it is necessary to identify the underlying possible cause (too many naps, long naps, early bedtime, caffeine, illness, and physical discomfort) in order to correct the sleep problem. Behaviorally-based sleep disorders are often categorized by complaint or by symptoms. Problems with bedtime: This includes dealing with a child's stalling, tantrums, and other resistance to going to sleep, also described as poor sleep routine and hygiene. Difficulties falling asleep: This often persists when infants or children do not learn self-calming, or have inconsistent or inappropriate sleep hygiene practices. 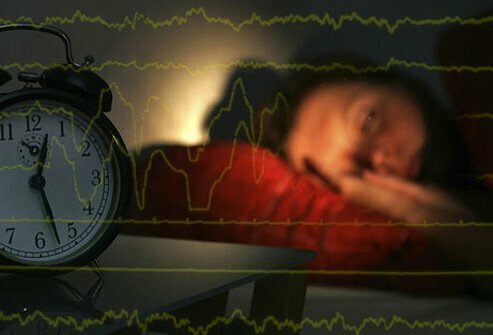 Night waking or difficulties staying asleep: This often occurs as a result of external stimuli, such as excessive noise or light, or internal stimuli, such as hunger or anxiety. Excessive daytime sleepiness: This is often caused by sleep deprivation and is often observed in adolescents who may not receive adequate hours of sleep. The term insomnia is defined as having difficulty initiating and/or maintaining sleep. It can be transient, as when it occurs after some traumatic event, or it can be chronic. It is generally not considered a problem unless it leads to functional daytime impairment. In children, it is often referred to as "behavioral insomnia," and it is most commonly due to poor sleep hygiene and parental failure to address bedtime problems and night waking appropriately. Sleep apnea is one of the sleep-related breathing disorders. These are disorders which include snoring on one end of the spectrum, and obstructive sleep apnea (OSA) on the other end. It is an extremely serious sleep pathology in which the child will struggle to breathe and possibly stop breathing due to enlarged tonsil and adenoid tissues that obstruct the child's upper airway. Parents will report that it sounds as if their child is being choked during sleep. Often, parents will hear pauses in breathing and children may complain of a dry mouth and throat as well as early morning headaches. OSA can lead to learning difficulties, low academic performance and even worsening attention deficit hyperactivity disorder (ADHD) symptoms. OSA can lead to reduced oxygen to the brain and strain of the right side of the heart. If you believe your child may have sleep apnea, you should discuss your concerns with your child's pediatrician. An evaluation by and ENT (ears-nose-throat) specialist is often indicated. It may be helpful to either make an audio or video recording of your sleeping child prior to such an evaluation. The use of the "sleep study," also called overnight polysomnography, is the study of choice to diagnose OSA and other sleep-associated breathing disorders. Sleep myoclonus of infancy: This is a self-limited disorder, usually resolving by 6 months of age. In this disorder, infants develop jerking movements during sleep, involving the whole body, trunk, or limbs. No treatment is necessary. Rhythmic movement disorder: This is a disorder which usually resolves by 5 years of age and involves repetitive movements involving the legs and arms. When severe and involving self-injurious behavior, the use of a benzodiazepine medication, such as clonazepam, has been successful in controlling severe cases. Periodic limb movement disorder: This is a rare disorder which presents with brief jerking of extremities during sleep. These episodes often occur in 20-40 second intervals. Restless legs syndrome: This is a disorder involving the lower extremities. The diagnosis is considered when a child complains of a recurrent urge to move the legs, especially when sitting or lying down, that is relieved by movement, and that becomes worse in the evening or at night. Children less than 12 years of age may describe symptoms such as "spiders crawling" or "tickles." Both behavioral treatments and medical treatments have been successful in reducing symptoms. These are defined as undesirable physical events or experiences that occur during entry into sleep or during arousal from sleep. They are often categorized as rapid eye movement (REM) or non-rapid eye movement (non-REM) depending upon whether they involve sleep entry or arousal. Some common parasomnias include night terrors, nightmares, confusional arousals, and sleepwalking (somnambulism). Teeth grinding, sleep groaning, sleep talking, and bedwetting can occur during any sleep period. Nightmares occur during REM sleep and thus are more common later in the night. The child acts scared and will often be able to remember his or her dream. Simple parental reassurance and comforting are effective. In contrast, night terrors occur in non-REM sleep and thus, generally, within the first four hours of sleep. The child may become very violent with thrashing of the arms and legs while crying out in a confused manner. Routine comforting of the child is not helpful and the child will be confused and bewildered when awakened. Generally, the child will rapidly return to a "normal" sleep with no memory of the events in the morning. Confusional arousals are a variant of night terrors. It is believed that the child is so deeply asleep that the normal waking pattern at the end of the sleep cycle is suppressed. The major distinguishing point between confusional arousals and night terrors is that the former gradually builds from moaning to crying out and may culminate in the child standing and yelling out apparent random words or phrases. Night terrors tend to have an acute onset with the very rapid development of thrashing and yelling (commonly for parents). Both conditions share several points that parents should consider when they encounter either situation. Don't try to awaken the child. They are asleep and if awakened, they will have a difficult time falling back to sleep. Anything that upsets the normal sleep rhythms -- such as illness, being away from home, and disrupted naps -- may trigger either pattern. The onset of sleepwalking typically occurs in prepubertal children. Boys are more likely than girls to sleepwalk, with the highest prevalence in the preteen years (11-12 years of age). The overall incidence of sleepwalking is approximately 18%. Like night terrors, the individual is difficult to arouse during the event and does not remember the experience. Sleepwalking most commonly occurs during the first one-third of the sleep cycle. Some sleepwalkers may also mumble during sleepwalking episodes and occasionally obscene words may be uttered. Medications are rarely necessary to manage sleepwalking episodes. Ensuring a safe environment (protecting against falls and securing doors to avoid walking out of the house) and maintaining good sleep habits (avoiding sleep deprivation) are important considerations. Most behavioral sleep problems can be managed by primary care doctors. However, there are cases when sleep problems persist or consistently interfere with the child's functioning even after making appropriate and recommended changes. Sleep specialists can help in many of these situations. In addition, some children with special needs (autistic or developmentally delayed) may also benefit from referral. It is important to keep in mind that some children diagnosed with behavioral sleep disorders also often suffer from physiologic sleep disorders such as sleep apnea. Discuss all of you concerns regarding your child's sleeping habits with your child's health care practitioner. Children and adolescents need adequate sleep. lack of sleep can have negative effects on children's performance in school, during extracurricular activities, and in social relationships. Boyse, Kyla. "Sleep Problems." University of Michigan Health System. Nov. 2010. Galland, Barbara C., and Edwin A. Mitchell. "Helping Children Sleep." Archives of Disease in Childhood Oct. 2010: 850-853. Mindell, Joseph A., and Lisa J. Meltzer. "Behavioural Sleep Disorders in Children and Adolescents." Annals of the Academy of Medicine, Singapore. Aug. 2008:722-728. Moturi, Sricharan, and Kristin Avis. "Assessment and Treatment of Common Pediatric Sleep Disorders". Psychiatry (Edgmont). June 2010 7: 24-37. WebMD Medical Reference. "How Much Sleep Do Children Need?" WebMD. Feb. 2009. Please describe your experience with symptoms of sleep disorders. What was the treatment for your children sleep disorder?